Ample air flow coupled with complete fuel atomization is an essential requirement in any high performance engine. Modern four stroke engines all utilize a butterfly valve in their throttle bodies. The disturbance in air flow due to the use of a butterfly valve diminishes any engines ability to reach is performance potential. Butterfly valves are positioned in the middle of the incoming air stream, splitting the air into two separate paths, right when the fuel is being injected. This diminishes the fuels opportunity to be dispersed evenly into the incoming air stream, which reduces fuel atomization and engine performance. The rotating gate valve performs two tasks. During partial throttle openings, a single column of high velocity air is guided directly into the injected fuel stream, this turns the fuel particles into a fine mist which burns more efficiently increasing engine performance. When the throttle valve is fully opened, it becomes the floor of the intake track, rotating completely out of the air stream providing an unobstructed full flowing tunnel. 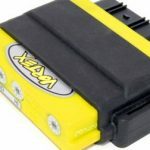 R&D Racing has developed a simple and effective way to maximize performance. The second breakthrough in design is the actual shape of the throttle body tunnel. 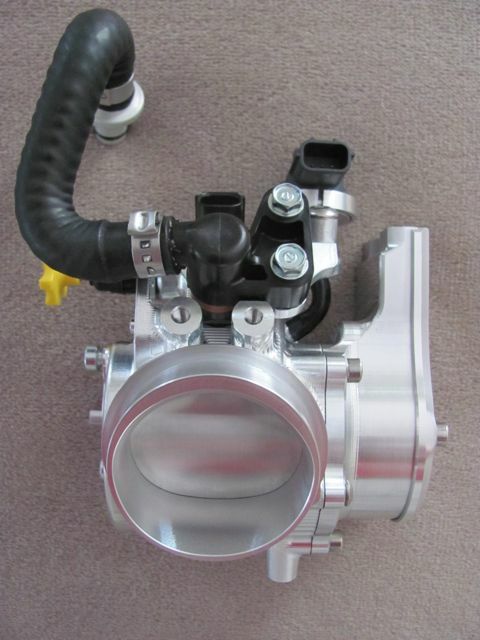 The Genius throttle body is no longer restricted to a typical round hole shape. Extensive testing has proven that reducing the tunnel radius at the beginning of the throttle opening delivers air at higher velocities, translating into improved rider control and an increase in low end torque. This feature yields a stronger low RPM performance, creating the effect of a smaller throttle body at partial throttle. 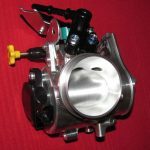 As the throttle valve rotates, an increasing radius is incorporated into the design, allowing a large throttle body effect to be achieved. Morphing the tunnel into an elongated radius provides the effect of varying throttle body sizes. 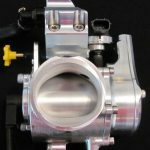 After extensive dyno and track testing, Geico Honda switched to the R&D Genius throttle body at round 7 of the 2012 AMA Out Door Nationals. Justin Barcia and Eli Tomac accomplished something that had eluded them all season, they ended the day with a 1st and 2nd over all. 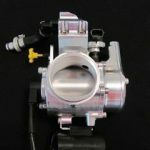 This was the first time the Genius throttle body had been in competition, finishing in the top two positions was a remarkable accomplishment for R&D Racing’s new design. All components are machined to exacting tolerances from solid billet aluminum. Due to the intricate nature of the “Genius” design, ten hours of machine time per unit is required. 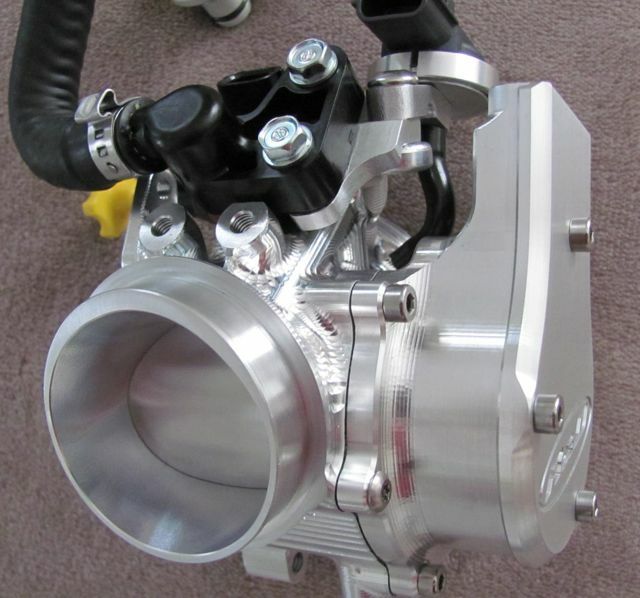 All throttle bodies are hand assembled to assure exact fitment of each component. Finally, each throttle body is flow tested and calibrated on R&D’s air flow bench.